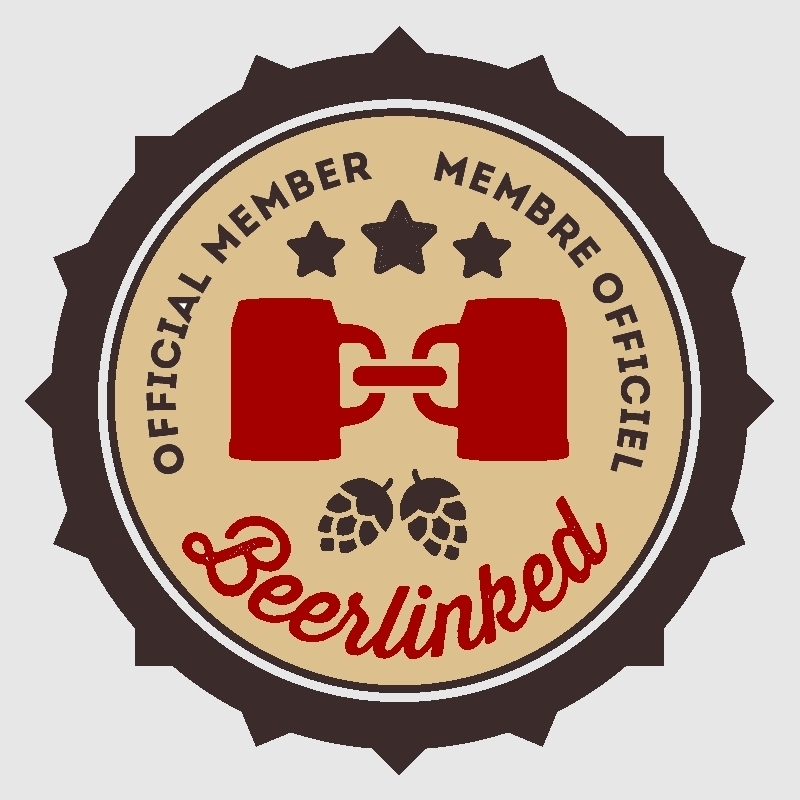 Home » Beer Reviews » Dieu du Ciel! Releases Two New Fruited Sours: Symbiose No9 & Été Indien. Dieu du Ciel! Releases Two New Fruited Sours: Symbiose No9 & Été Indien. Dieu du Ciel! spoiled us last year. They released so many new beers that it was actually hard to keep up – especially for a fanboy blogger like myself. This year was a bit more restrained for DDC in the “new release” department, and instead, they seemed to fine-tune their current recipes more than pump out new offerings. That said, I’m extremely excited to tell you about two new fruited sours that that are dropping for the first time in bottles: Été Indien last week and on Monday, October 23rd, Symbiose No9 is going to drop! Dieu du Ciel! is largely responsible for getting me into the sour game. I remember trying Solstice d’Été (their raspberry Berliner Weisse) for the first time many years ago, and I was transported into some kind of nostalgic fever-dream. I was a kid again, picking raspberries in my back yard. The aromas were intoxicating. The shear tartness of the beer instantly stripped any and all saliva from my tongue, while the acidity caused the back of my mouth to ache. The experience was odd and slightly painful, yet familiar and oh so pleasurable – all at once. We are normally accustomed to having ample amounts of sugar to balance tartness and acidity, especially in drinks. However, when it comes to fruited sour beer, it should be all about acidity, dryness, and a juicy backdrop. The fruit can (and should) be in your face, but actual sugar needs to be minimal and not really part of the equation. Solstice d’Été has had some variants over the years. At the pub, I’ve seen raspberry, cherry, mango and plum. 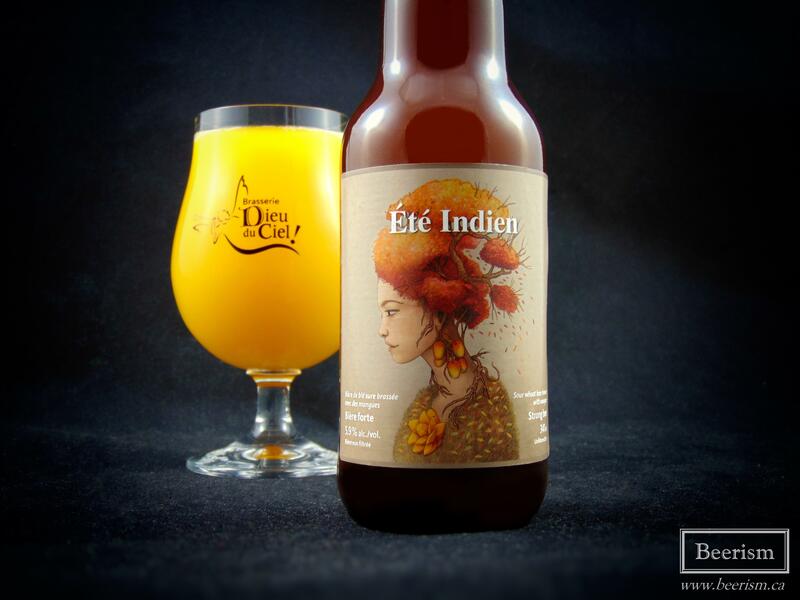 In bottles, there has been raspberry and cherry, but this week, for the first time ever, and new mango infused fruited sour has been bottled, and it’s entitled Été Indien. To say that I’m excited about this new one would be a grand understatement. Solstice d’Été has been used as a blending tool for a series that Dieu du Diel! calls Symbiose. This line of beers has been going on for some time, but only a few versions have been bottled. Symbiose “2015” was the first: a blend of Solstice d’Été Cherry and Dernière Volonté (Belgian IPA), then aged in barrels with brettanomyces. Last year, Symbiose No7 came out, which was an updated version of the cherry blend, and then Symbiose No8 dropped, the raspberry iteration. 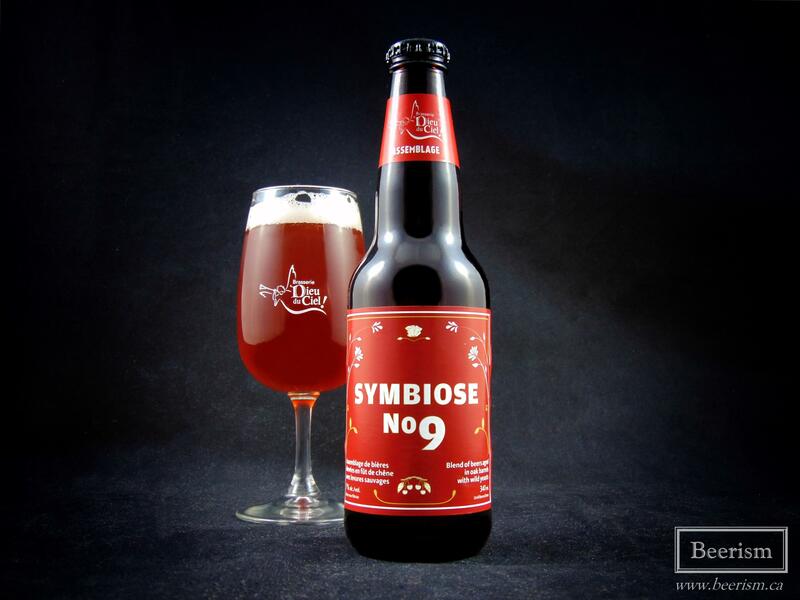 On Monday October 23rd, Symbiose No9 will be having a small brewery-only release at the Dieu du Ciel! St. Jerome location. Once again, this one is a cherry variant and again barrel-aged with brettanomyces. I’m excited to see how this batch tastes. 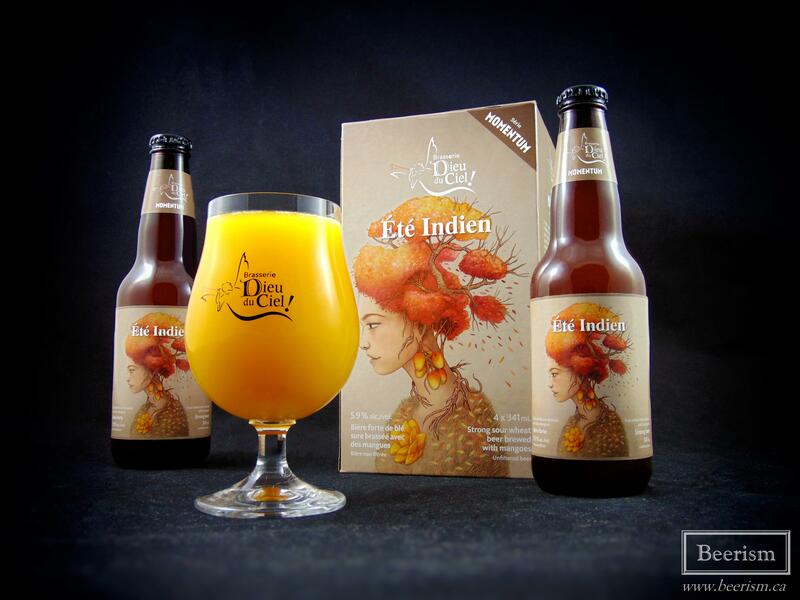 However, let’s start with Été Indien. It pours out completely and utterly opaque, looking like you just threw a bunch of mangoes in the blender. The head dissipates immediately, leaving a still glass of juice. The nose is a mix of rich mango flesh, coupled with an acidic lactic sharpness. It smells clean and straightforward, as well as incredibly inviting. The aromas remind me of those mango “nectar” drinks from my childhood. Up front I’m taken back by the body, which is rich and luscious, carrying loads of fruit puree. It’s juicy and jammy, but still crisp and dry, with a lingering tartness. The acidity feels quite scaled back if compared to Solstice Raspberry (although it’s not the same beer). That said, it still works for me, making it that much more drinkable. The finish echoes juicy mango alongside a slight bitter astringency. Overall I think I’d like a touch more acidity, but the drinkability and luscious fruitiness make up for it. 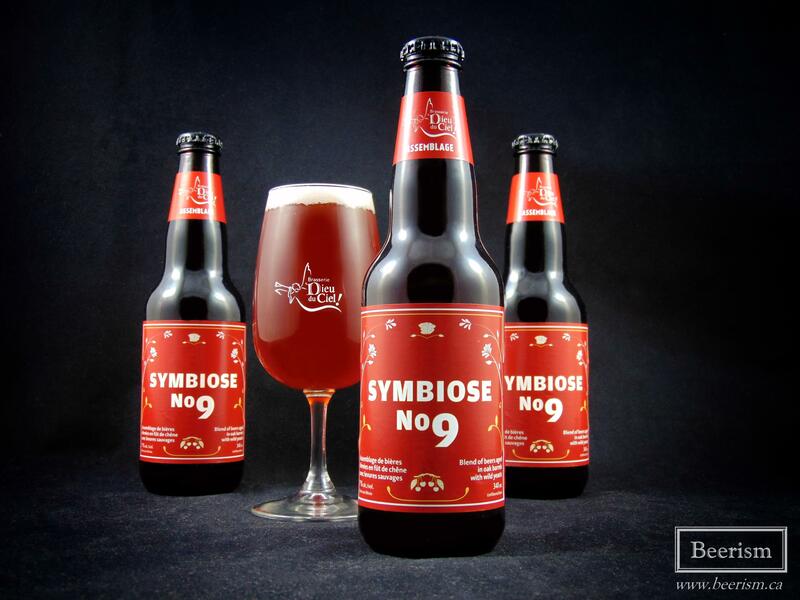 Symbiose No9 pours out a bright reddish orange colour with a nice little head that sticks around. The nose is a rich mix of macerated cherries, wine soaked oak, fruit tannins, and some animal-like brettanomyces induced funk. Up front the palate is actually pretty subtle in the cherry department, providing a light essence of the fruit without being as jammy as some of the earlier batches. It’s not sour, and instead carries a nice fruity tang, showcasing a zesty profile that works well with some rich vinous notes. The oak is quite prevalent, which lends a spicy tone that complements the aging fermented cherry notes. It’s quite dry overall, with a lingering hop bitterness alongside some fruit tannins, which really helps cut through everything in the finish, leaving my palate quite clean. I feel like each batch changes slightly, providing a different angle to the same overall idea. Here, the fruit is the present, but takes a bit of a back seat to the oak and vinous notes. Whereas the 2015 Symbiose was a big jammy cherry bomb. Still delicious, just a bit different. Overall Dieu du Ciel! continues to make me happy with their fruited sours. Été Indien was a thick juice-bomb that perhaps could have used a bit more sourness for my tastes, but was balanced and incredibly drinkable, while Symbiose No9 was also mild on the acidic scale, but made up for that with a rich vinous oak backdrop. I certainly recommend picking up both if you can. Remonte-Pente from @memphre_fabrique came out earlier this winter, but took a bit of time before I was able to crack it open. The nose starts with huge vanilla notes, alongside coffee, caramel, and some oak-driven cakey sweetness. On the palate, I'm again hit with a massive bourbon presence. Big vanilla notes and general bourbon richness provide layers of spirit-induced complexity. Drying tannins from the oak finish things off nicely. Brasserie Champ Libre Throws Spring Bottle Release!